It was several days ago that Michael reminded me that it has been a long time since we have had breakfast for dinner and I guess that it was meant to be that along came The Cooking Club assignment for this week, breakfast for dinner. So from there, I dug up the one and the only thing that I haven’t made in ages, quiche to get the breakfast started, normally a salad is a favorite with quiche at dinner along with a tasty little plate of smoked salmon with all of the little necessary accouterments served on a salmon platter…I decided that the salmon platter would just the right one side to have with quiche. What a fun idea and in about an hour we had a great breakfast for dinner. I don’t recall where I read a few hints or the quiche crust that works with homemade or store-bought pastry, but freezing the rolled out pie crust in the dish for 30 or so minutes, covering the crust with foil and using pie weight to parbake the crust did result in a less soggy bottom crust. 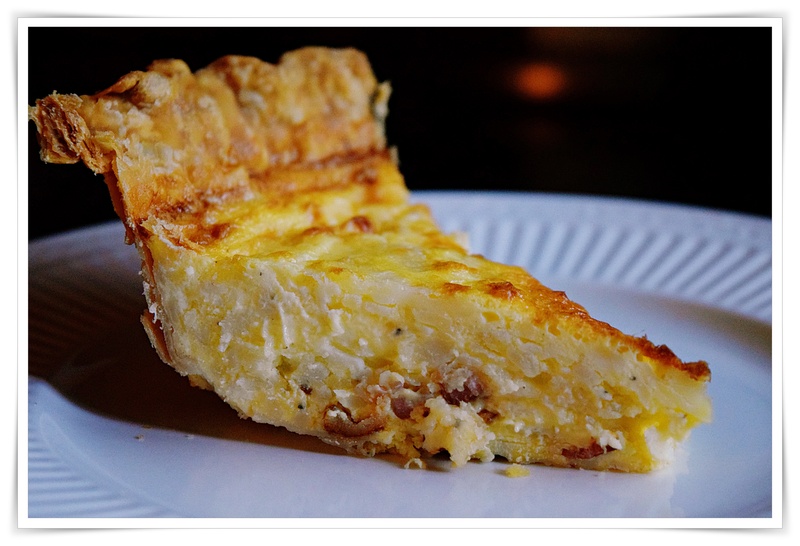 My filling had lightly caramelized onions and crispy bacon along with about 9 ounces of Gruyère cheese, but choose your favorite ingredients then enjoy breakfast for dinner. 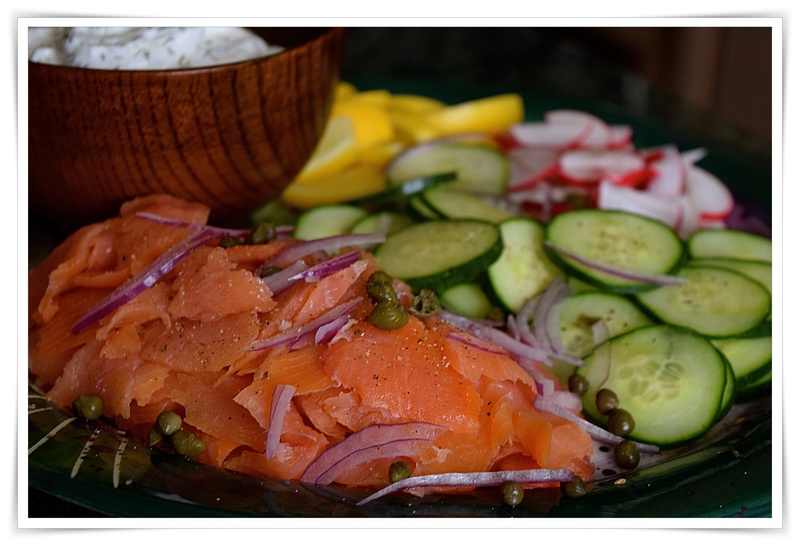 My salmon platter was slightly adapted from Ina’s breakfast brunch a bowl of blended Greek yogurt or sour cream, finely chopped red onion, a splash of lemon juice, chopped capers, a dash of salt, pepper, and chopped parsley. Of course, some rye or dark bread or crackers to go with, but consider sliced cucumbers, radishes, thinly sliced red onions and lemon slices.